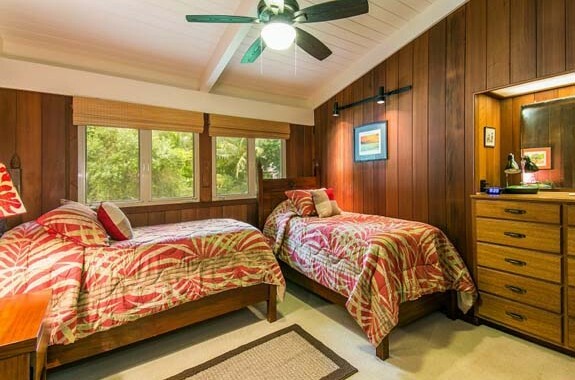 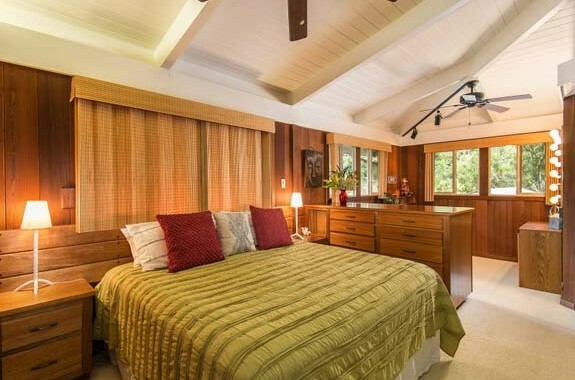 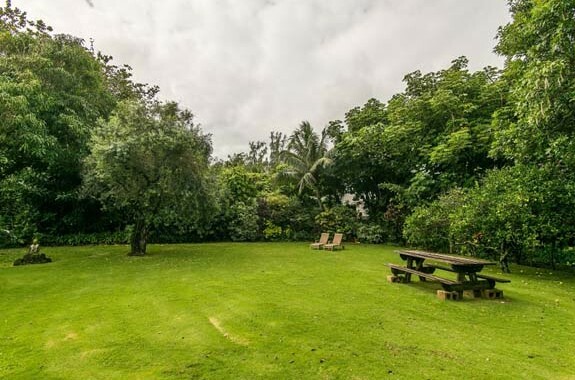 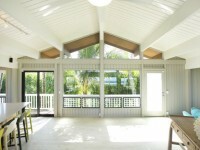 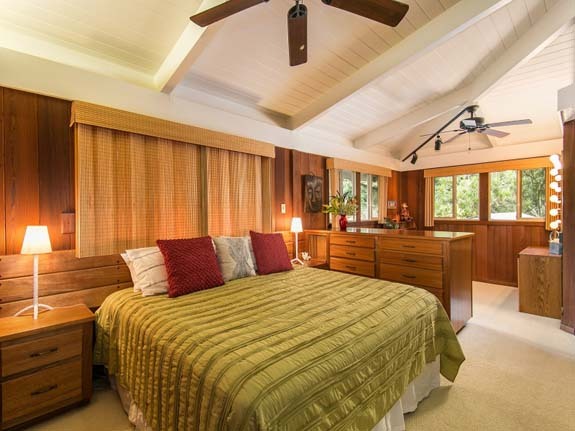 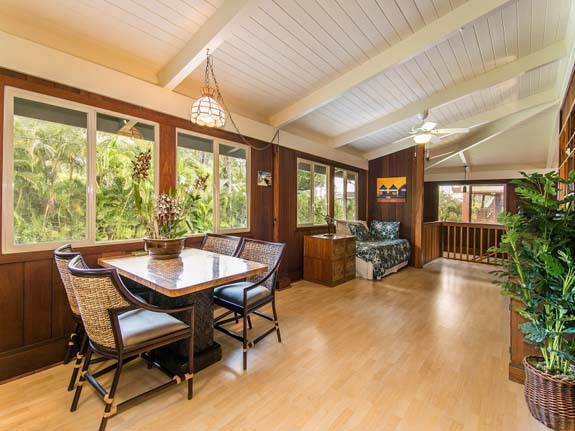 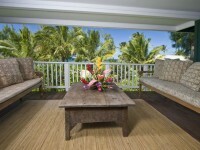 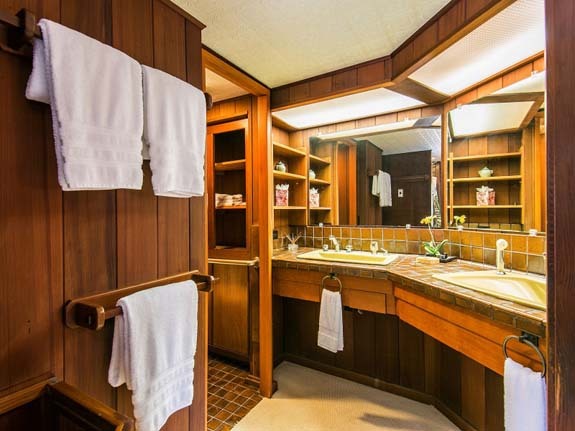 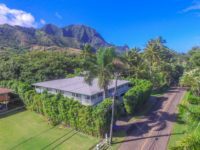 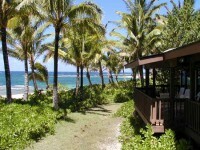 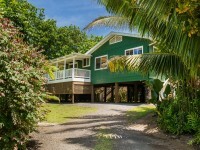 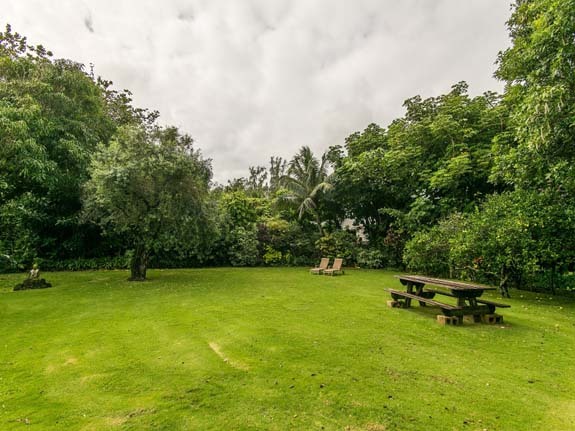 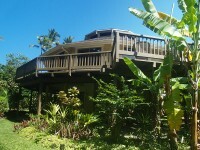 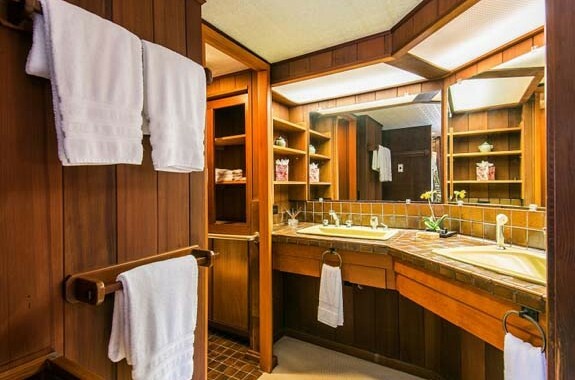 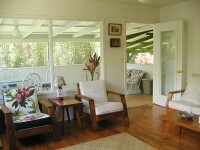 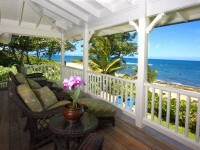 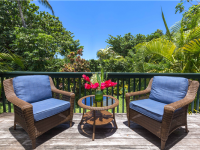 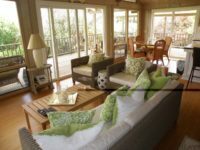 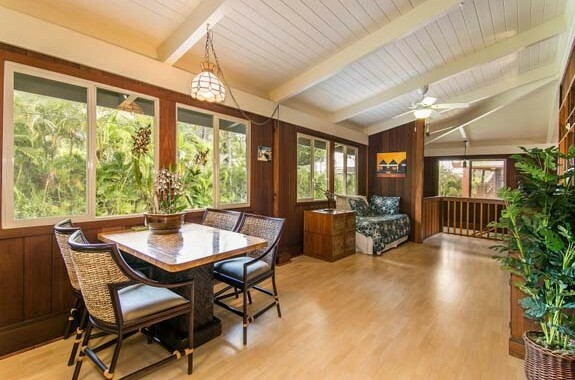 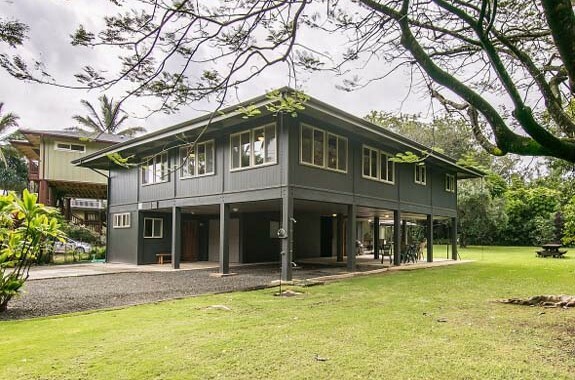 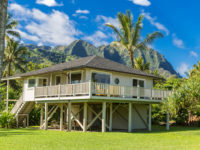 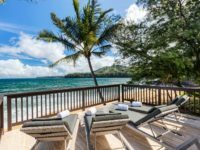 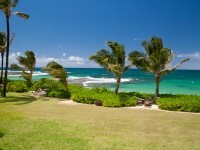 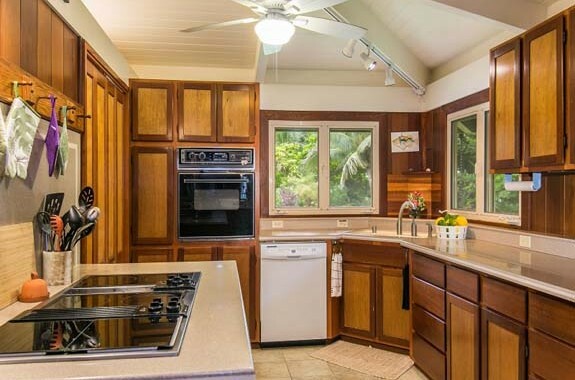 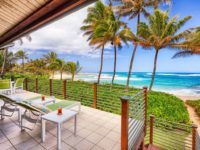 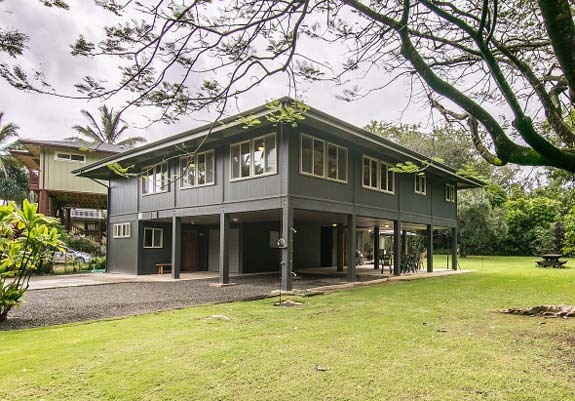 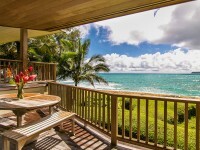 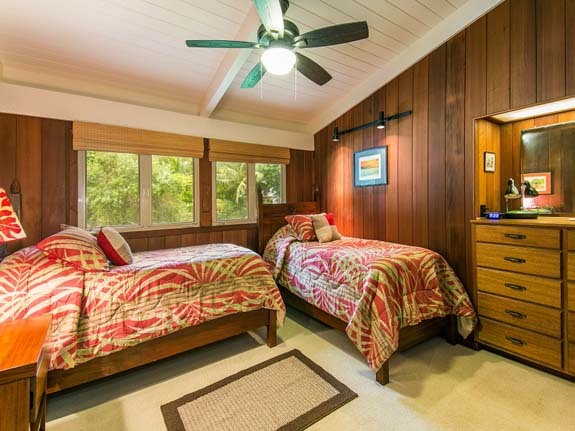 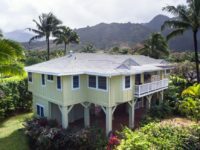 HAENA, KAUAI VACATION RENTAL: There’s attention to detail in every square inch of this lovely home, Hale Makana Haena. 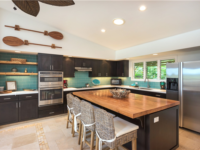 From the custom shelving to the mahogany door trim, to the special cubbies in the kitchen, the owners have thought of everything. 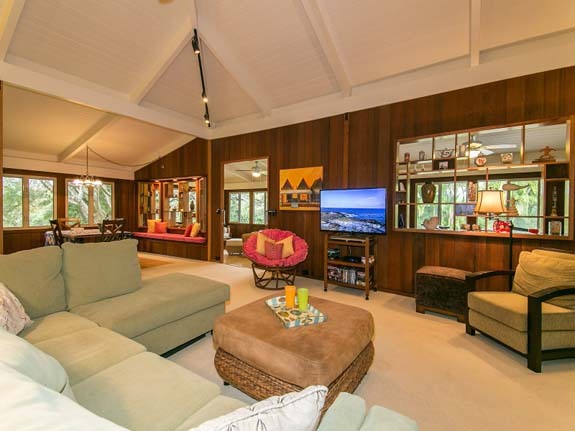 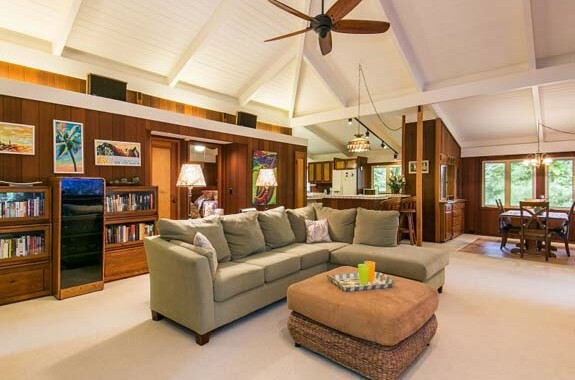 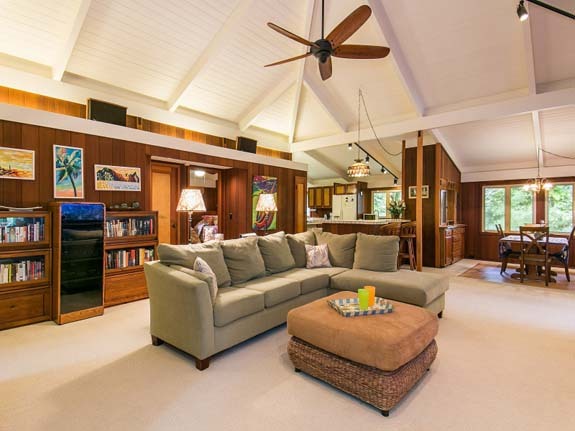 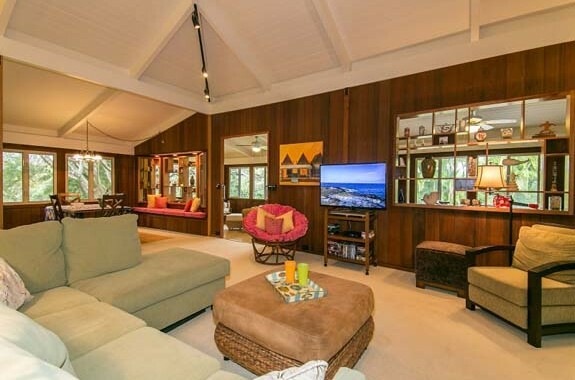 The open living, dining and kitchen area is further enhanced by dramatic vaulted ceilings. 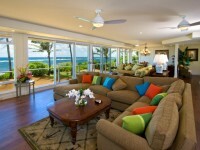 Just past the living room is a comfortable family room with large windows. 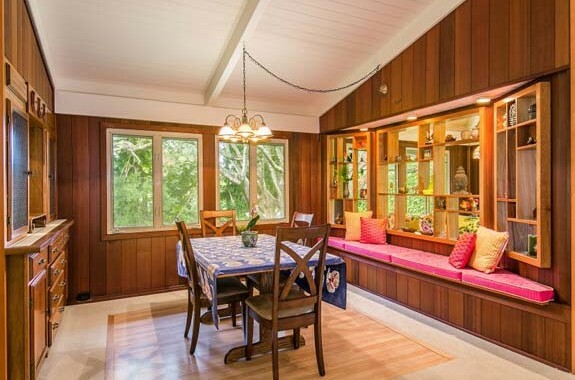 The dining room is formal and intimate. 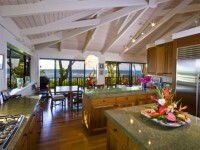 The kitchen is a work of art, and includes a separate bar, and prep area, plus a well thought-out pantry. 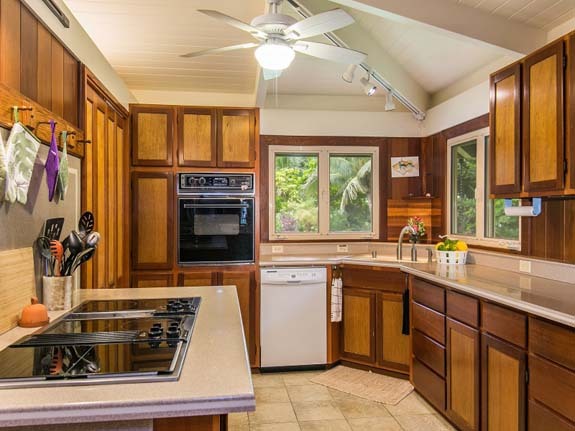 This is an island style home, rather than a large lanai the outdoor living encompasses most of the area under the house. 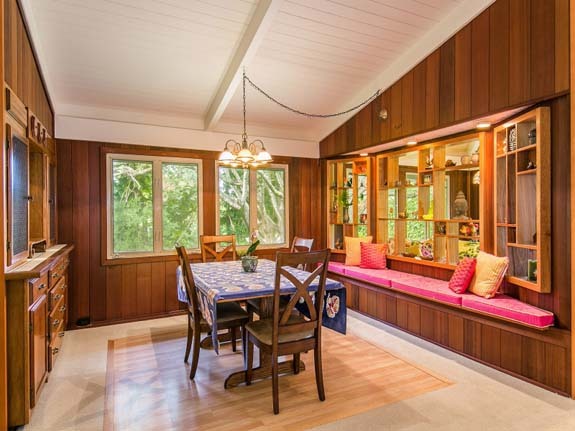 Just right for large gatherings and talking story with your friends. 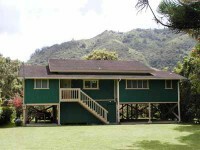 The house is situated to take full advantage of the large lot, leaving lots of open grassy area. 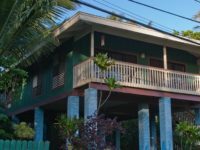 Located just a short stroll from the beach, get ready to relax and enjoy the tropics the moment you enter this 2 bedroom, 2 bath home.